We are pleased to announce our project was awarded a 10 Homestar built rating today, issued by the NZGBC. This is a wonderful addition to the Passive House Plus certification. Whilst Passive House is a rigorous energy modeling and design tool, Homestar encompasses a wider range of energy efficient measures (i.e. water, waste, materials etc) , and helped us make good decisions when planning and building our home. Our next open day is this Saturday the 29th of September, as part of the Superhome open days in Auckland. 11am-4pm, with 45 minute tours every hour until 3pm. Given our passion for high performance homes, and the difference the Ideal House has made to the comfort, health and wellbeing of our family, we are pleased to launch our new business Enveloped. Enveloped provides advice, and then supply and installation of all the key products and systems you need for a high performance house. Insulation, ventilation, air-tightness, heating (air and water), lighting, and home automation. Our primary focus is on new build, but many of these products we can also retrofit into existing homes as well. We are starting in Auckland but will be exploring possibilities of a wider coverage. If you are working on a project (or know someone who is) that could benefit from our services we would appreciate referrals. Word of mouth is one of the most effective ways of advertising! After a monumental effort from Denise Henkenhaf and Paula Hugens from EZED in Queenstown, plus some last minute assistance from Jason Quinn at Sustainable Engineering in Wanganui, plus many more helpers and sponsors along the journey, we have been awarded one of the first Passive House PLUS certifications in New Zealand! (Actually #2, and hopefully joined shortly by another in Christchurch). We are officially ID reference “6133_MosArt_PH_20170713_TOL”. What we didn’t realize when we added the 8kW (32 PV panels) to the roof during construction from Power Tech, is that the Passive House Institute were getting ready to launch two new levels of Certification. PLUS and PREMIUM. The addition of the local power generation, combined with the lower energy usage of the home has allowed us to reach this coveted new level of certification. We also added higher levels of insulation during construction than what was on the original plans and modeling, and the additional assistance from the Earthwool glasswool also helped get us over the line. Once those walls are closed up, there’s no going back later! Insulate as high as you can while you have the chance. More information on the Passive House PLUS certification can be found here. Thank you to all the people that have helped us on this journey, and we hope that what we have done and shared will help others to create more efficient and sustainable homes in New Zealand for generations to come. Next goal? 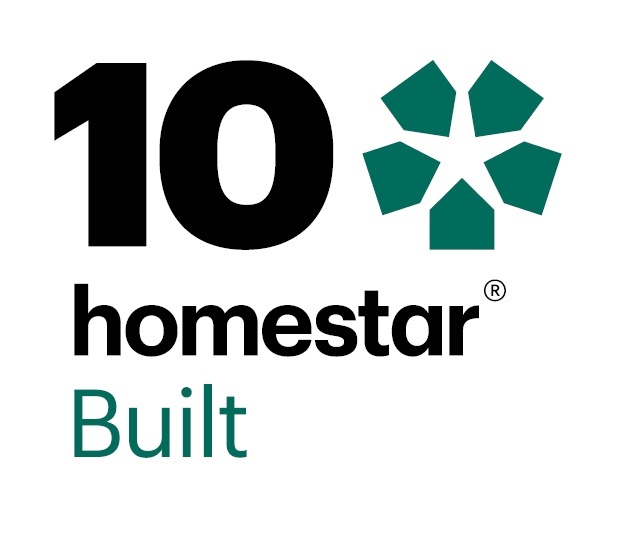 We can get the Homestar design rating from NZGBC off the shelf, dust it off, and now get the home re-rated again under the new Homestar V4 which is due out very shortly. We have been waiting on our Passive House certification, to cross credit with the thermal performance criteria of Homestar. It will be interesting to see how the house now stacks up, perhaps an 8 or 9/10 rating, we shall see. But it’s not just about the rating scale, we’ve been enjoying the performance enhancements that were made to the house during design and construction following the process two and a half years ago, and we’re so glad we decided to go down this journey. For those technical geeks, the full certification file can be downloaded and viewed by clicking here 3188 Certification PHA – Granted ID, or on the image below. We are pleased to be participating in the International Passive House Open Days again this year. Winter is a perfect time to experience a warm dry home with no heating. It is this coming Sunday the 18th June, and we are running tours 1pm, 2pm and 3pm. 23 Reliance Cres, Beachlands, Auckland. I also emailed the designer copies of the signage which we had displayed in the house, and thought these would make great summary sheets for everything on this website, without having to trawl through the posts. So here they are! (Click to download). Remember, the Building Code is a minimum, not a target! It’s been a very warm June, but temperatures are now starting to fall. We’re really pleased with how the home is performing this winter after some tweaking to the ventilation system earlier in the year. We’ve had two fires so far this year, but we cooked the home and had to open the windows, otherwise we haven’t run any heating. Great to see temperatures holding up above 20 and humidity well down on outside. Temperatures bouncing over 20 remind me of a stone skipping across water. I’ve been trying to get the kids to wear PJ’s to bed (given it’s June), but they just strip them off and complain they’ll get too hot. What an environment to grow up in! (And my coffee tree is doing really well as well).